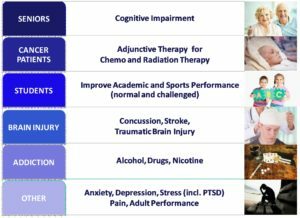 Neural Training (a.k.a., neuro-feedback/therapy) has been available clinically for years, often at prohibitive hourly rates. New products are entering the markets that provide sensory or direct stimulation without adjusting to the individual brain responses. 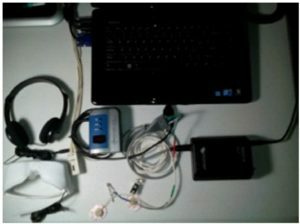 The Neural Training delivery system (NT) uses real-time brainwave detection, processing and analyses to adjust the applied feedback stimulation. As a form of operant conditioning, feedback delay negatively impacts training efficacy. As such, the system will ultimately employ proprietary analog signal processing technology and offset these delays. In addition, the system employs multiple stimulation modalities and proprietary synchronization and training algorithms to optimize the individualized training. The technology to be implemented to reduce response delay is patented in the United States, China and Mexico. In addition, European Patent Office provided notification that European patent will be granted and the patent examination is under way in India. Patent applications are being prepared based on the specific use of the proprietary technology as well as the means to synchronize timing of various stimulation modes to enhance the effectiveness and efficacy. Searches and analyses of the patent and scientific literature have yet to reveal any prior art that would negate the utility and novelty of the proprietary technology or the novel integration of the multiple stimulation modalities to be implemented in the neural training system. Further, no combination of the references appears to render the technology obvious to a person skilled in this area. 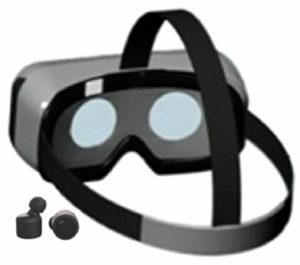 Biodyne has developed an enhanced wearable Neural Training (NT) system. The neural training system relies on quickly measuring the brain’s response to stimuli and adjusting the applied stimuli in real-time. 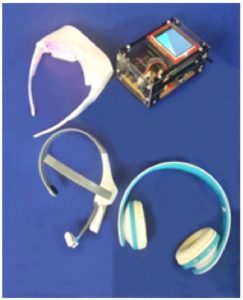 Continuously adjusted auditory, visual, and/or direct current stimuli are applied to the user via the wearable NT system to improve brain function. Advanced protocol development yields more effective training. 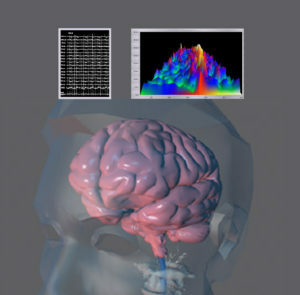 Proprietary technology enhances brain signal measurement that results in more accurate quantification of brain signals. This then allows our proprietary algorithms to nearly instantaneously make protocol adjustments to the individual user.